GAA chiefs are to meet with the organisers of the Liam Miller memorial match as Cork politicians and sports stars demanded a U-turn on the refusal to allow the new €70 million Pairc Uí Chaoimh to host the fundraising game. In a statement, the GAA confirmed that its president and director general, along with Cork County Board officials, will now seek a meeting with the Liam Miller match organisers "to discuss issues around the (September 25) game." That meeting is expected to take place early next week. It followed scathing criticism of the GAA, who warned on Friday they were "prohibited in rule" from allowing its new Cork stadium to host the memorial match for the family of the Cork, Ireland, Celtic and Manchester United star who lost a brave battle with cancer earlier this year. The match was earmarked for Turner's Cross, Cork City's home, which only has a capacity of around 7,500. Tickets for the match sold out in less than two minutes last week. Organisers had hoped a move to Pairc Uí Chaoimh, which has a 45,000 capacity, would allow for greater tickets sales, enhanced fundraising for the Miller family and also allow for a greater numbers of fans to see a Manchester United XI take on an Ireland/Celtic XI. Amongst those supporting the event are Roy Keane, Paul Scholes and Ryan Giggs who all played alongside Liam Miller. Roy Keane flew to Cork last week for officially launch the match and a related gala dinner. Martin O'Neill, Damian Duff and a number of Celtic stars will also participate on September 25. The proceeds of the event are going to the Miller family. The Lord Mayor of Cork, Councillor Mick Finn, said he now hoped commonsense would prevail. "News that the GAA is to meet with the organisers of the Liam Miller event - with a view to hosting it in Pairc Uí Chaoimh on September 25 - is to be welcomed," he said. "Tickets for Turners Cross were gone in 60 seconds...this gives some small indication of how hugely respected young Liam Miller was and indeed how much he is missed by the sports community in Cork, Ireland and beyond. "The GAA is a massive organisation with a presence in every parish in the country and has rules for good reason in a competitive world. But this issue is about honouring a Corkman who brought honour to Cork by holding a fundraising event in Munster’s premier venue and is in no way contravening a GAA rule. "I know a lot of work has gone on in recent days with local TDs, senators and people from various organisations putting their support behind this. I applaud the GAA for agreeing to meet the organisers and hope common sense will prevail in the discussions," he said. The GAA's hardline stance on Friday over refusing to allow the match be staged at the new stadium promoted a wave of criticism both in Cork and nationwide. Liam Miller played GAA at club level in Cork and was a lifelong fan of Cork GAA. The GAA found itself under pressure to explain the decision given that a core element of its receipt of €30 million in taxpayer support for the new Cork stadium was that it be available for wider community use. Cork publican and sports fan, Con Dennehy, said if there wasn't a compromise agreed over the Liam Miller match then the contracts involved should be "dusted down and looked at." GAA star and pundit, Joe Brolly, urged the association to adopt "a face-saving solution." "The GAA has the legal power to sanction the use of Páirc Uí Chaoimh. Even if they didn't, no one would mind. This is a good thing all around. Rule 5.1 (a) allows GAA pitches to be used for 'purposes not in conflict with the aims and objects of the association. So, the Liam Miller game could easily be sanctioned. In any event, the penalty for a breach is discretionary R5.1(b) so a blind eye should be turned." 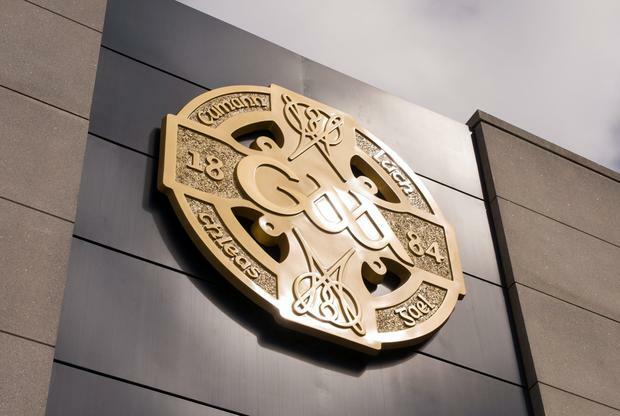 In its statement last week, the GAA insisted the decision was not within Cork County Board's remit - and the stadium could only be provided for such a match via a decision of Central Council which is not due to meet until next February. "The GAA is prohibited in rule from hosting games other than those under the control of the Association in its stadia and grounds," the GAA explained. "The Cork County Committee and Central Council have no discretion in this matter. Independent.ie Newsdesk Dublin legend Ciaran Whelan says Rory O'Carroll is in line to return to Jim Gavin's panel for the first time since 2015.